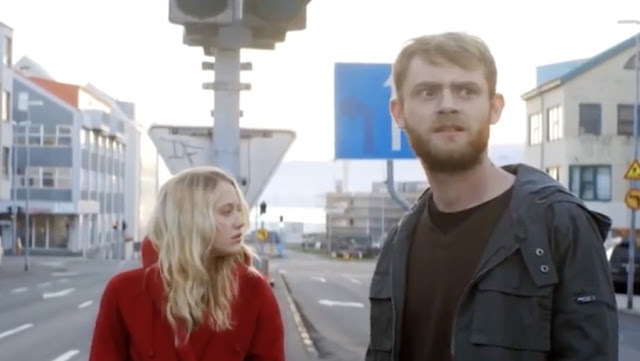 Jenai (Maika Monroe, It Follows, The Guest) and Riley (Matt O’Leary, Spy Kids, Time Lapse) take a dream trip to Iceland. They run around, swim in hot springs, laugh and giggle and kiss and do all the things young lovers do on dream vacations in twee indie movies. One morning they go hit up the continental breakfast bar, but no one’s there. There’s no one at the front desk, on the streets, or at the grocery store either. In fact, there’s no one anywhere. They appear to be the last two people on Earth—social media goes dark, no one answers their phone, and text messages go unreturned. Bokeh presents a simple premise—two people roaming the countryside, trying to figure out what the hell happened—but one with room for all manner of philosophical, spiritual, and ethical exploration. And that’s what the film does, it follows Jenai and Riley as they look for other survivors and try to survive themselves. At first it’s almost fun. They upgrade their accommodations, stage romantic dinners, go on high-end shopping sprees, and wallow in unfettered freedom. 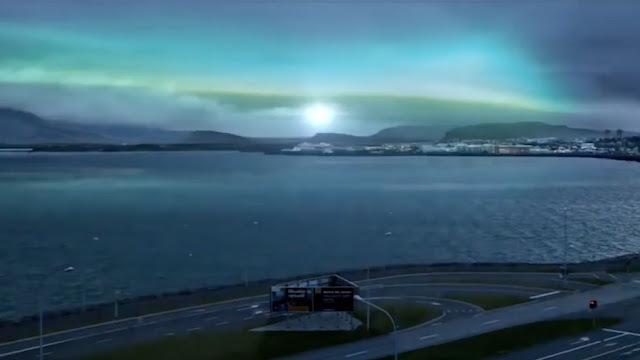 Thanks to Iceland’s automated geothermal infrastructure, this particular apocalypse, fully powered with electricity and running water, is downright quaint. Of course, things turn. Existential dread sets in and problems arise, like the realization that they can’t be completely reckless and wild—there’s no 911 to come pick them up when they tumble. Each protagonist represents the opposite end of the philosophical spectrum. Clinging to a fledgling sense of faith, Jenai feels there must be a reason for all of this—the rapture or whatever you want to call it—and struggles to discover what that may be. Riley on the other hand, takes the stance that none of it matters, that any attempt to find deeper meaning beyond simply living remains futile. She wants to go home and he wants kick back and enjoy. And the stars handle the material well. Maika Monroe infuses, Jenai with trepidation and anxiety while trying to make the best of it, though we watch the pressure weigh on her. Again playing the other side, Matt O’Leary’s Riley loses himself in the joy and beauty, but he allows his frustration with Jenai’s somber plodding show through the cracks. The two young actors have fun together on screen and have a strong emotional chemistry that forms the core of the picture. But ultimately Bokeh—a photography term that refers to the blur in out-of-focus areas of an image—lacks focus. Looking for meaning in the margins, on the periphery, and in the background, the film ultimately rings hollow, spinning its wheels in static philosophical debate. The whole package of Bokeh is quite lovely. When you take your title from a photography term, your photography better be on point, and cinematographer Joe Lindsay is up to the task. Shot with a simple, discreet style, the camera lets the picturesque Icelandic landscape—splendid cliffs, glaciers, forests, mountains—do the bulk of the work. 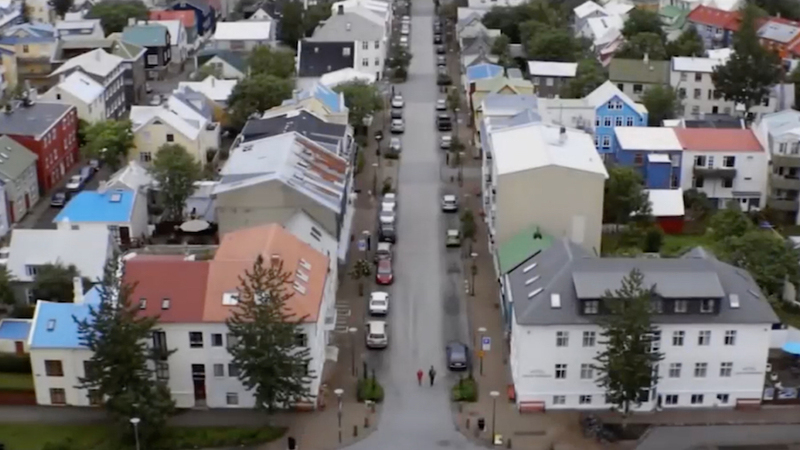 As the frame sweeps through the deserted streets after Jenai and Riley, wide shots capture the emptiness and desolation, adding a surreal layer, enhanced by a droning instrumental score.